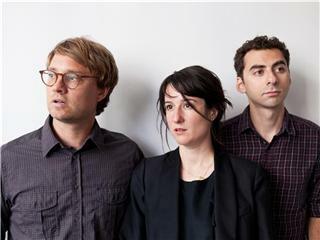 Hospitality is an American Indie pop trio from Brooklyn, New York, formed in 2007 and consisting of Amber Papini (vocals, guitar), Brian Betancourt (bass) and Nathan Michel (percussion). The band is currently signed to Merge Records and released their first full-length album on January 31, 2012. Hospitality released its first self-titled EP in 2008. It came about after the band met Karl Blau at a show they both played at the Cake Shop. Blau heard Hospitality's soundcheck and asked if he could record them in exchange for Hospitality acting as his backing band sometime in the future. The EP garnered a few favorable reviews and earned Hospitality the title of band to watch from Stereogum.com. Hospitality remained quiet for the next few years as they worked on side projects and Papini tended to a death in the family. 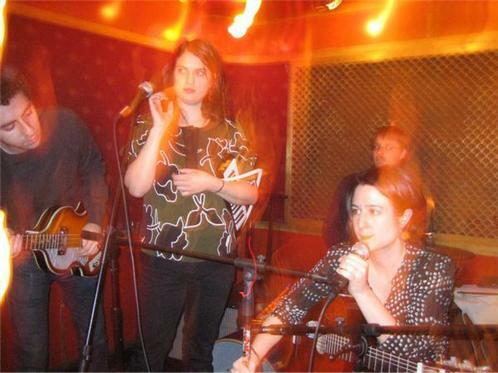 They eventually recorded their first full length album and signed to Merge Records in September 2011.